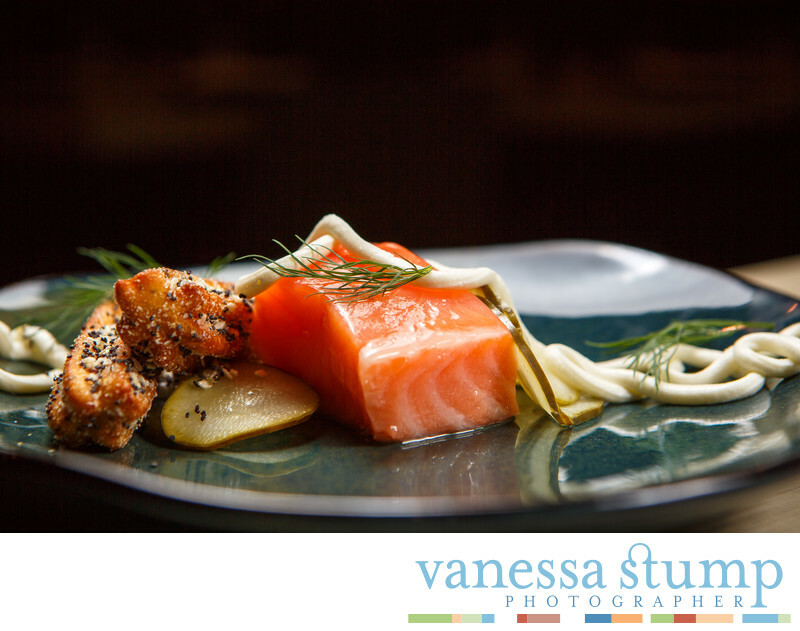 As a Los Angeles food and restaurant photographer, I love having the opportunity to capture unique fine dining creations. This sous vide salmon had an amazing color as well as translucent quality. The chef chose a teal stoneware plate to offset the beautiful color of the fish, creating a psychological reaction in the viewer's mind. This image appeared in the Bon Appetit section of AAA's Westways Magazine.